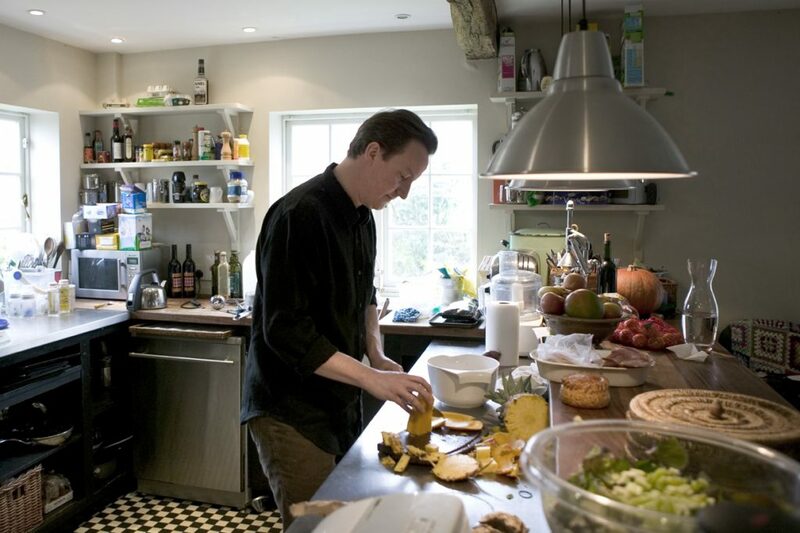 British Prime Minister, David Cameron, prepares a fruit salad for lunch in his constituency home in Witney, Oxfordshire. There’s no pasty in sight, but there is a pork pie! The photograph was taken while I was on commission with the Sunday Times Magazine in 2007 to do a profile of Cameron when he was opposition leader.